Steve sent me these photos to share with our gang. Thanks Brent. I have heck of time with getting pics up. 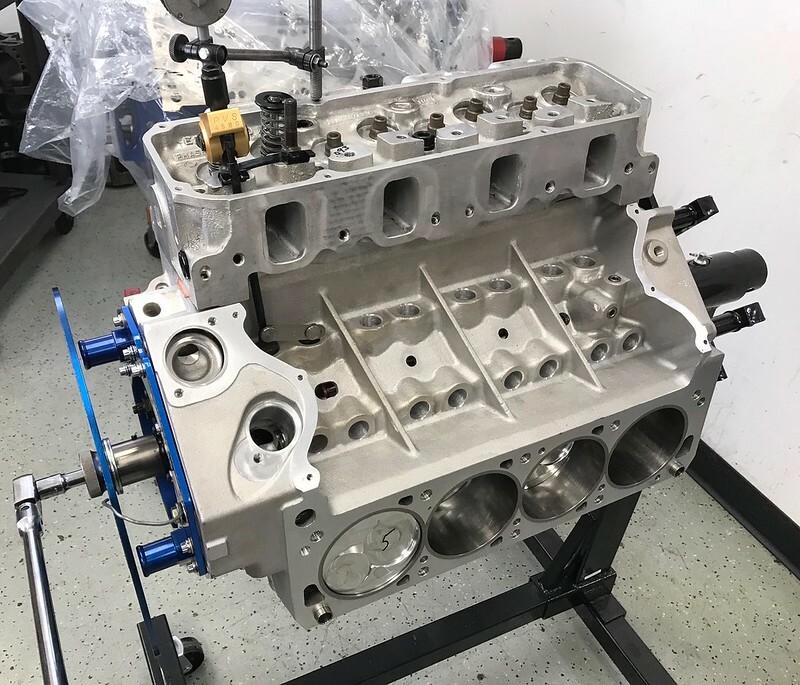 The build will be 4.155x4 with a3 heads. The heads flowed 378@800 and 256@800 and i purchased from Dan jones. The rotating assembly is Molnar/T meyer centra lign. Racetec custom pistons with hopefully 14:1. We are still playing with chamber volume. Im using camreasearch cam with .780 lift and 266-272@.050. Scott has done a good job cutting cams so we specd this one to suit our car. 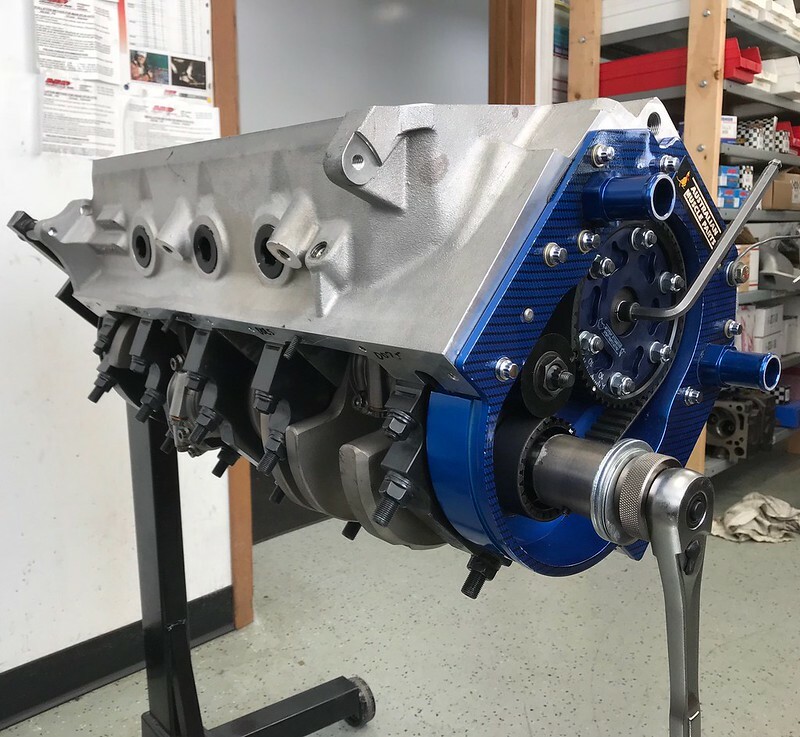 Induction will be a a3 sheetmetal ram with dual 1050 dommies.The belt drive is austrailian muscle parts, water pump is Davies Craig and oil pump is melling. Using Kevko custom pan and mpg windage tray.Ofcourse Tim and crew over at T meyer Inc. If i missed anything I'll add in next few days. Thanks Everyone. You need about 4 degrees more exhaust duration. LSA needs to be 107-108. You’re leaving a lot of power on the table with that tight of a split. The lobe sep is 112 and set on 108. Im think with our high altitude here is why. The car weighs in at 3000lbs with driver also. I think I could pick you up about 25-30 hp, although I'd have to see the advertised durations to really double down on that. 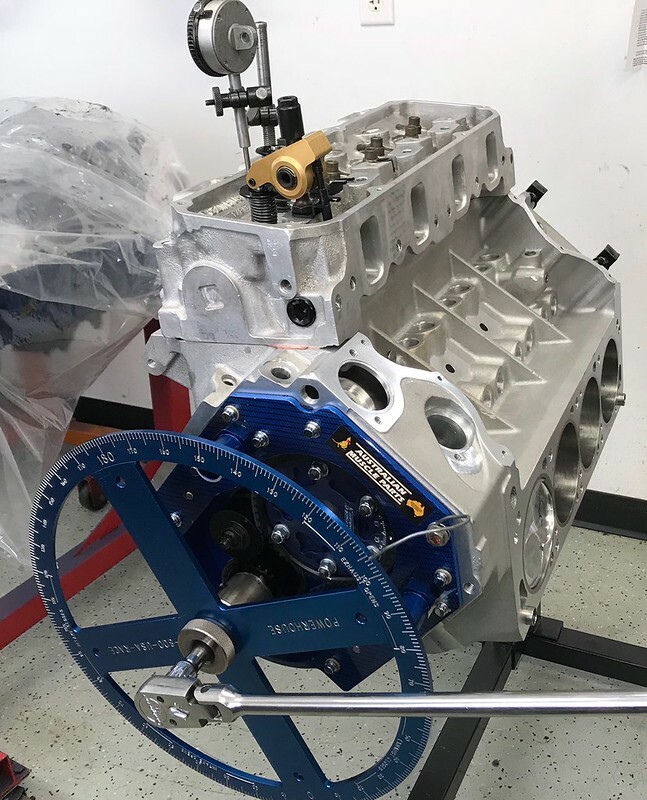 It's not really a function of the car weight or the altitude (although carburetors will rely on altitude tuning), but it's choosing the cam that will work with the cylinder heads. A 67% intake/exhaust flow ratio is pretty poor (but typical for a lot of Ford stuff, especially Cleveland and some FE) and requires more than the "universal" 6° duration split. A 6° split works typically for a lot of Chevrolet stuff, that's why you see so many lobes ground in those increments. If this were a CHI, Blue Thunder, etc., cylinder head with a smaller intake port volume and a better exhaust port, a 4-6° split would have a better chance of working well. Good lookin' piece. Make sure and send me more pics as the build progresses. This is awesome Steve! Glad to see the first block going to a known member. I wish you the best with everything working out and such. Thanks Booyah its been a long steady road. Its all a big groups effort to see it come together. Thanks to Tim for buying the block from Tod and moving forward and also to Tod for getting started. It will be just fine I'm thinking. The cam adv duration is 298-308. When i talked with Scott he wanted to know if i wanted a cam for a huge number(pr purposes) or one that would really work well in car. I chose The latter. Hes cut all my cams and i will say I've had good success so I leave it to him. The only cam he didn't cut was the crane in my 438.I could've really went all out in this engine but its overkill for anything I own.Even with our goals I'll have to add bars to car. So whats the point really. Just make a nice running engine that works for us. More economical for us. Thanks Tim. This project has been the aspiration of many guys. Some stuck it out others went another direction and in the end Tim Meyer brought it to fruition. Its a great thing to see. 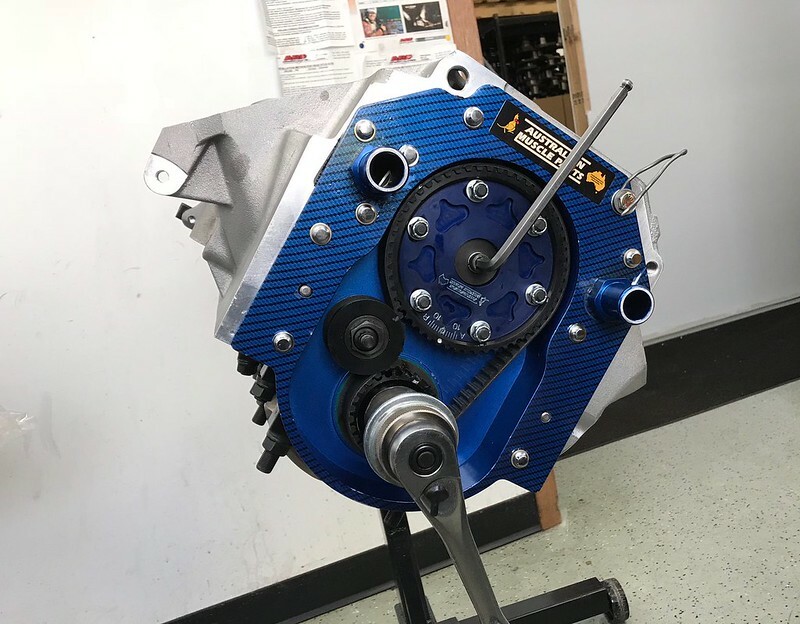 Im happy that the die hard cleveland guys have the block they deserve,no more riding on the shirt tail of Windsor!It will be a happy day to see that thing singing on dyno no matter what the hp turns out to be.